Long after the wound has healed, the pain of the scar can remain. Especially if the scar is apparent. it can be a serious impediment to self-esteem. And, in some cases, scars can also cause physical problems. Scars form after our skin is seriously damaged: due to an injury like a cut or burn, from conditions like severe acne, and following planned procedures like surgeries. While we may see scars as problems, they are actually biological solutions. They represent the body’s successful ability to recover from a wound. We have an impressive array of defense and repair mechanisms: starting with the front lines of our inflammatory forces, followed by a cascade of cellular activity to rebuild and remodel the damaged area. The repair – or scar – is notably different in texture and color. Scar tissue is intrinsically distinct from the surrounding skin, more rigid, darker, and often either raised or pitted. Over time, most scars’ appearance improves, but depending on the location, its presence may remain distressing. And some scars can cause physical problems, for example, if they form and tighten over joints, limiting movement. The challenge of addressing scarring, includes considering the type of scar and the best treatment option. Remember how a scar is born: Scarring is a long-term process. The way a scar looks immediately following an injury or surgery is not how it is going to look months later. Scars may continue to even out and fade for up to a year. It’s a good idea to give the site time to improve naturally before moving ahead with any procedure. Special scars need special treatment: With “normal” scars following an injury or surgery, treatments such as lasers can improve color and texture so that the scar tissue appears natural. But special categories – acne scars and hypertrophic scars – require special considerations. 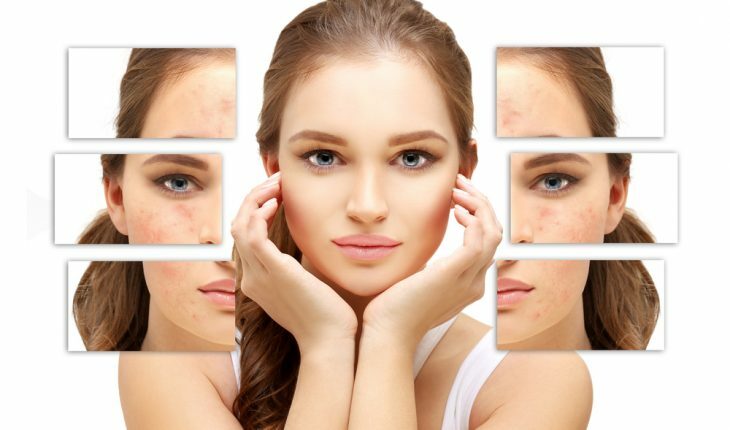 With acne, we want to treat the acne first – hopefully to minimize or prevent scarring. If scars occur, they may benefit from chemical peels to even out tone, as well as fillers to address pitting. Hypertrophic scars are especially inflamed, so it’s helpful to consider anti-inflammation treatments, such as steroid injections. 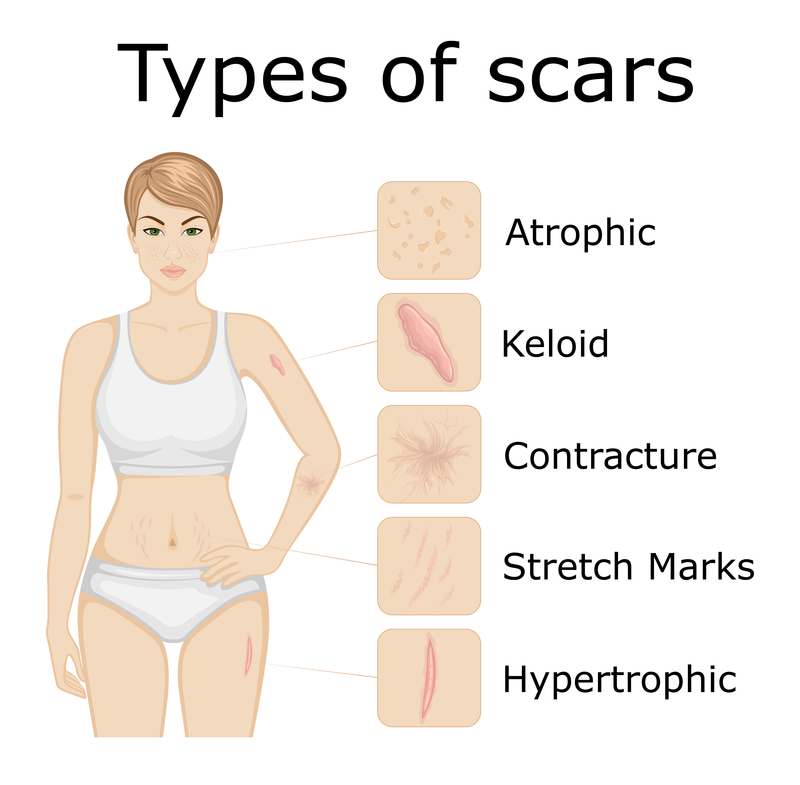 Extra-special scars need extra-special treatment: Keloid scars really are in their own category. They need a specialized approach. Keloids result when our body’s defenses go into overdrive and fail to turn off scar-building systems. They are challenging because additional disruption to the skin – even treatment-based – can trigger additional scarring. A knowledgeable doctor can design a plan that takes into account the stage of the scar, its size, and its location. In particular, combination treatments such as steroid injections combined with cryotherapy can be effective. Maintain reasonable expectations: Scar tissue is built to last, so it’s there to stay unless it is removed. It certain cases, where the scar is severe, or limiting movement and causing pain, surgical removal may help. But, of course, it’s essential that the surgery be designed so that recovery will minimize scarring. For other cases, scar treatments such as lasers can improve the appearance of the scar so that it blends more evenly with the surrounding skin. When possible, apply prevention: During surgery, surgeons can make incisions and place sutures to lessen the amount of tension placed on the wound as it heals. Post-op dressings can also lessen the tension – or pull – put on the healing skin. Stayed tuned for advances: The future looks promising. In particular, as we better understand the genetically programmed role different cells play in skin repair, we have more possibilities to promote healing that minimizes scar tissue. Fortunately, patients today have increasing choices to heal and recover from scars. Valerie Goldburt, MD, PhD, is board-certified and specializes in medical and cosmetic dermatology at Advanced Dermatology P.C.